Wizards’ comeback comes up short as the Wiz fall to the Spurs, 107-105. With the Wizards down two with just seconds to play, Otto Porter had a chance to tie the game with a floater in the lane but it rimmed out. The Wizards fall to the Spurs, 107-105 and still haven’t won in San Antonio since 1999. 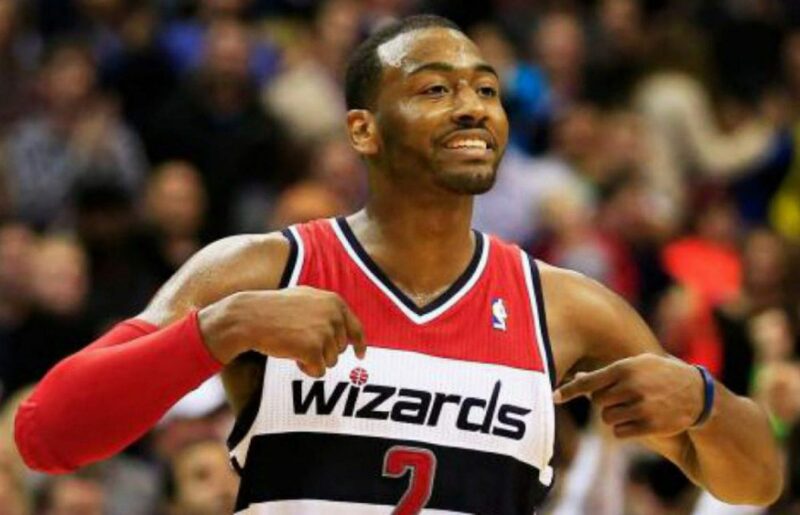 Three Wizards’ players logged double-doubles including John Wall with 17 points and 15 rebounds, Marcin Gortat with 21 points and 18 rebounds, and Otto Porter who had 15 points and 12 rebounds of his own. Bradley Beal was the high-scorer for the Wizards with 23 points on 5/5 shooting from three-point range but it wouldn’t be enough tonight. The Wizards started the game hot, shooting 7/13 from the field in what would turn out to be one of their best quarters of the season. Unfortunately, the Spurs closed the quarter on an 8-2 run as the Wizards led by just four, 28-24 after one. The Wizards were able to stretch the lead to nine in the second quarter but once again, the inability to close a quarter came back to haunt this team as the Wizards led by just three, 60-57 at halftime. The Wizards committed far too many turnovers tonight (20) and many of the live ball variety resulting in layups or free throws for the Spurs on the other end. The Spurs took advantage of the Wizards sloppy play and stretched the lead to nine midway through the fourth quarter. The Wizards had an answer. Otto Porter tied the game on two free throws only for Greg Popovich to draw up a play to get Danny Green wide open for three on the other end. Wall would finish a tough layup over Ginobili to tie the game at 105. Next time down the court, Kawhi Leonard curled off a screen and hit a wide open jumper to give the Spurs the lead 107-105 with six seconds to play. The Wizards tried to get Beal the ball but he was double teamed and had to give it up, resulting in a missed attempt from Porter. The Wizards played one of their best games of the season tonight, but there are no moral victories in this league. Bradley Beal scored 23 points tonight on 7/11 shooting including a perfect 5/5 from three-point range. Beal, in the midst of the best stretch of his career, played outstanding tonight and was able to get baskets for the Wizards when they needed them most. Unfortunately, Beal only took 11 shots. When a player is as hot as Beal was, it would have been nice to see his shot attempts around 20. Gortat played the best game of the season with 21 points and 18 rebounds while playing a team-high 42 minutes. Gortat was matched up against Pau Gasol to begin the game and was then matched against David Lee late. Gortat was also effective connecting on 50 percent of his shots (8/16) as well as 5/6 free throws. Gortat was often the lone starter playing with the reserves as well. Can’t blame this one on the big man, he played a hell of a game. The Wizards committed 20 turnovers resulting in 20 points for the Spurs tonight. As mentioned, many of the turnovers were of the live ball variety resulting in easy baskets or free throws for the Spurs on the other end. Moral of the story is that you aren’t going to beat a good team when committing 20 turnovers. Previous postThunder runaway in overtime, drop Wizards, 126-115. Next postWizards knock down 14 three-pointers, beat the Nets, 118-113.